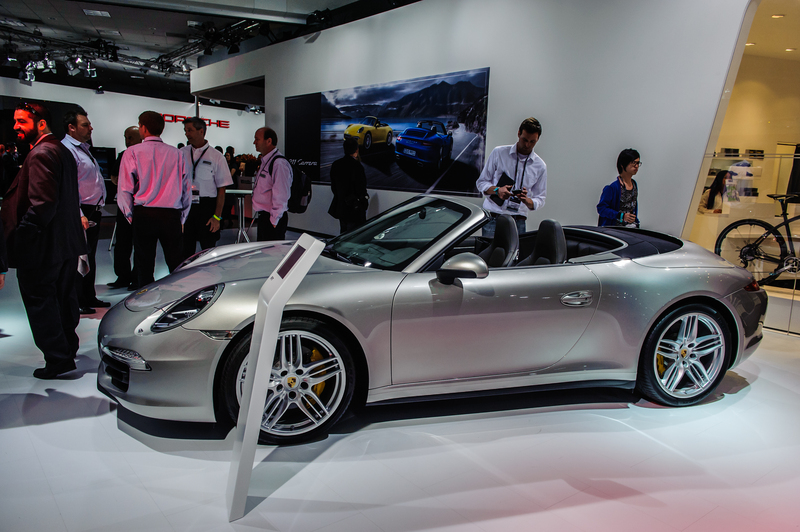 The new Porsche 911 (Porsche 991) made its world debut at the Frankfurt Motor Show 2011 last month. The exterior received some modifications like a longer, lower stance and redesigned mirrors, but overall it looks about the same as the outgoing Porsche 911. The new Porsche 911 interior, on the other hand, brings a few notable changes. Porsche has highlighted the new porsche 911 interior in a recently released video segment. Porsche’s lead of interior design takes us through the cabin, where we see a combination of classic styling elements like the five-reading instrument panel and ignition lock to the left of the steering wheel, and updated touches like a larger display; chrome, aluminum, carbon and wood accents throughout; and intricate leather stitching. The high-mounted shift knob takes inspiration from the Carrera GT and is designed to provide quick, sporty shifting. Bose and Burmester audio system options are available. Perhaps the most interesting part of the new porsche 911 won’t be showing up on any video clips. The aluminum-steel body cuts about 100 lbs. off the weight of the new Porsche 911. The smaller 350-hp 3.4-liter boxer six delivers up to 16 percent fuel savings and emissions cuts. The three-minute video below, which we happened across on World Car Fans, is a slow-going piece with very thick-accented interviewer/interviewee combo, but it’s the all-new Porsche 911; of course you want to check it out.